It all began when my husband gave me a wonderful Christmas gift. 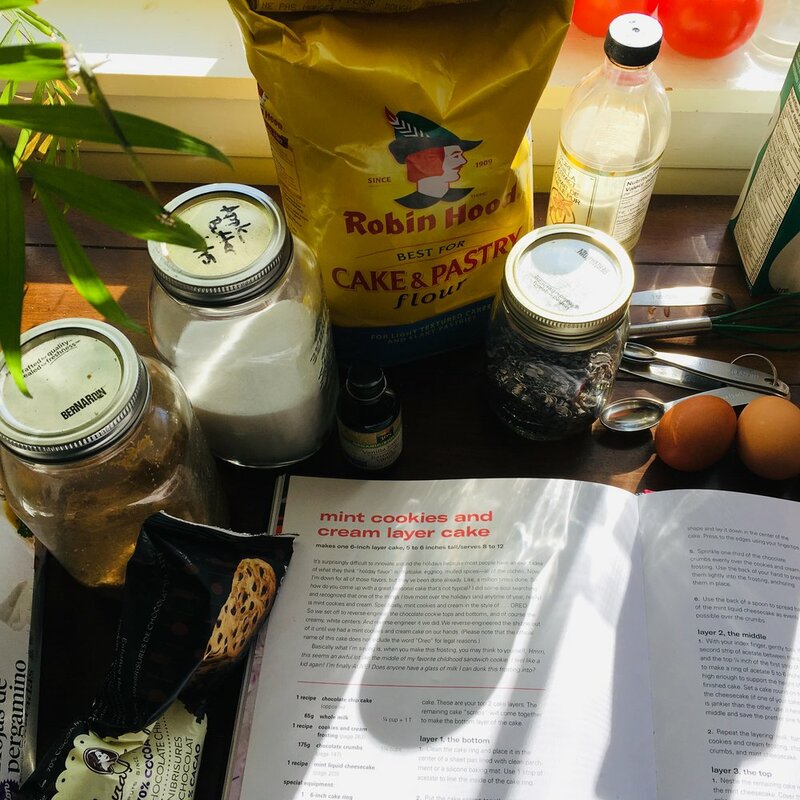 It was the new cookbook All About Cake, Christina Tosi’s latest publication. Tosi is the mastermind behind NYC’s Milk Bar, formerly the desserts department of Momofuku and now an establishment in its own right. This woman is no slouch; she was also recently featured on Netflix’s Chef’s Table. Her recipes bring together childhood nostalgia for sweet, fluffy, over-the-top desserts and a professional’s precision and refinement; she has created her cakes to burst with flavour, richness, and fun. Enter my middle child, a girl who just turned 5 last week. When she had a glance through the cookbook, she chose not one but two (!) of the cakes she wanted for her birthday. One for her birthday dinner on the real day (R above), and the other for her party (L, above). And I, never one to shirk a giant baking project, and being a lover of all things kids’-birthday, agreed. As I read the recipes, I knew some serious advance planning would be required. I ordered a few of the ingredients on Amazon - mainly to get the clear vanilla extract, which was a requirement in multiple parts of each cake and unlikely to be available locally (it could be - I had just never come across it). Other ingredients I ordered included cake flour (lighter and finer than all-purpose), rainbow sprinkles, and two sturdy OXO-brand quarter-sheet pans, another requirement for the cakes and oddly not an item I had already. Then I made my game plan for the week of the birthday. Each cake needed to freeze overnight and thaw for 3 hours in the fridge the day it would be served, which is actually very useful for a party, since it’s all done ahead of time. Therefore for each cake, I made the recipes required on Day 1, assembled and then froze the cake on Day 2, and thawed and served on Day 3. I know this sounds like an absurd time commitment, but in fact the per-day work involved is fairly minimal. It was all totally achievable thanks to my favourite kitchen trick: advance planning! Above you can observe the prep for Cake #1: the Mint Cookies and Cream Layer Cake. Before assembly, you make chocolate crumbs, mint liquid cheesecake, chocolate chip cake, and cookies and cream frosting. (Pro tip: next time I’ll use more than one drop of green food colouring in the cheesecake, since it turned out the palest of greens instead of the desired minty green.) Despite the fact that it’s a 6-inch layer cake, the three cake layers are in fact made from one quarter-sheet pan of cake (you can see the unmolded rectangle cake, above). It’s one of the many awesome things about these recipes: no wasted cake scraps! You cut two rounds from the rectangle and then the remaining scraps are pushed into a cake pan to make the third and bottom layer. Very efficient. The other cake my 5-year-old chose was Tosi’s famous Birthday Sheet Cake, with sprinkles aplenty. This only required three preparations before assembly: crumbs, frosting, and cake. (In both recipes, the crumbs provide both the decoration on top of the cake and a textural crunch in the middle of the layers). These cakes are intense and the flavours are big. They offer a completely different and less subtle sort of treat than these cakes, which I’ve made for past birthday parties. I think in the future I will stick with one Milk Bar cake, for a birthday week, but not because of the labour involved - each cake is just such an event that it deserves its own week to shine! Each one on its own was completely delicious and the flavours were extraordinary. I was especially blown away by the flavour and aroma power of the clear vanilla extract coming through in these recipes. It makes a huge difference. My whole house smelled like a bakeshop, even when I was only serving the cake (not baking it)! 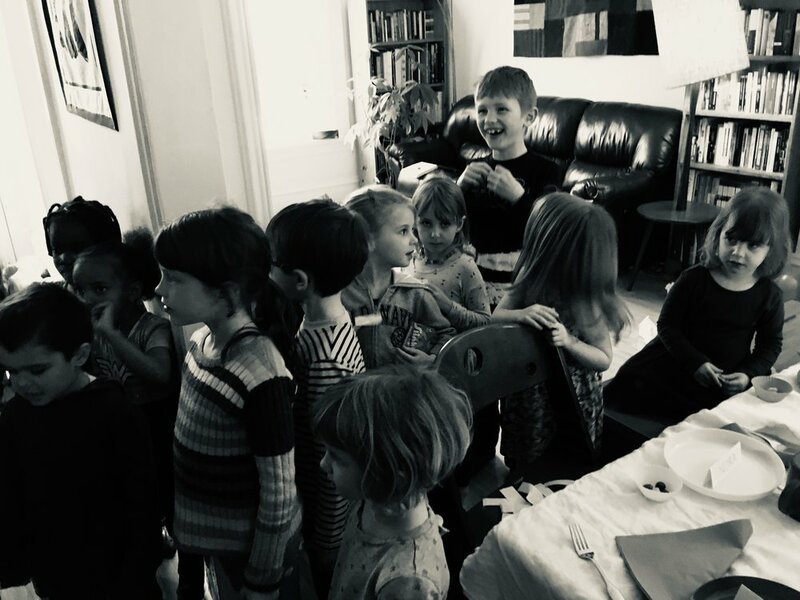 For other posts about birthdays, including recipes for buttercream frosting and ice cream, see my posts about my kids’ past birthdays. 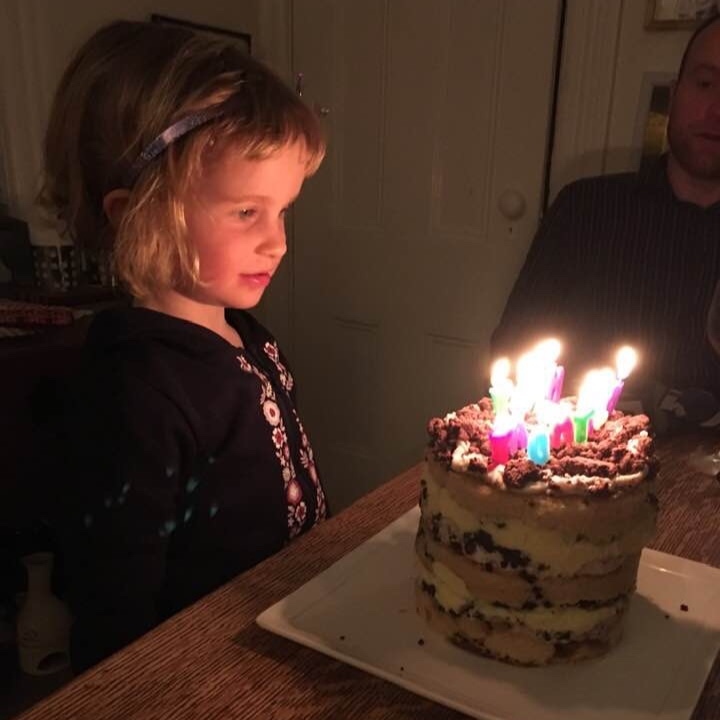 Happy 5th Birthday, Polly! We love you so much.